Great job! I put it to my website: https://goescorts.co.uk/ . Best social media plugin ever! With this plugin disabled my site generates 90 requests, when I enable the plugin it generates 190 requests. I’m only using one Facebook tab sliding from the edge. Is this normal? Hi, I am interested in buying this plugin, but I see in your demo that the Linkedin feed is empty and generating an error in the console. Is this something that will be fixed soon? 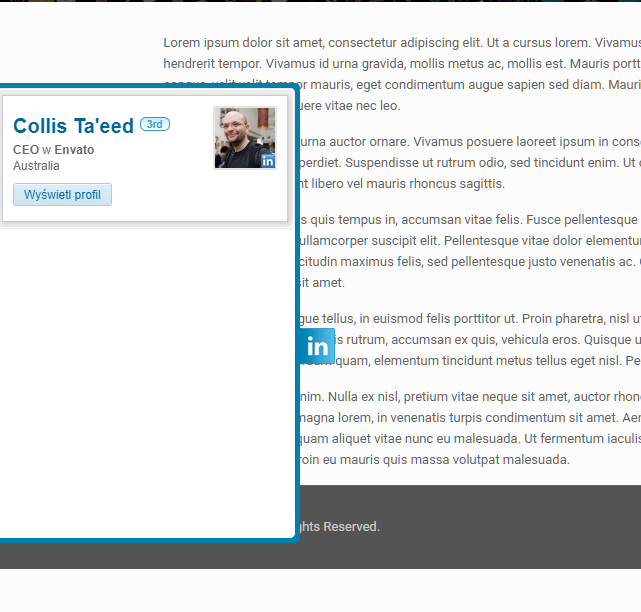 Linkedin “stream” is disable there. Thank you, does it support a company feed also? Yes, it should – but it depends of the LinkedIn settings. Can we hope for an update to this plugin in the coming days? Thanks in advance! yes, we working on the update – almost done. Soon it will be available on the CodeCanyon. Good news! Appreciations for your work!